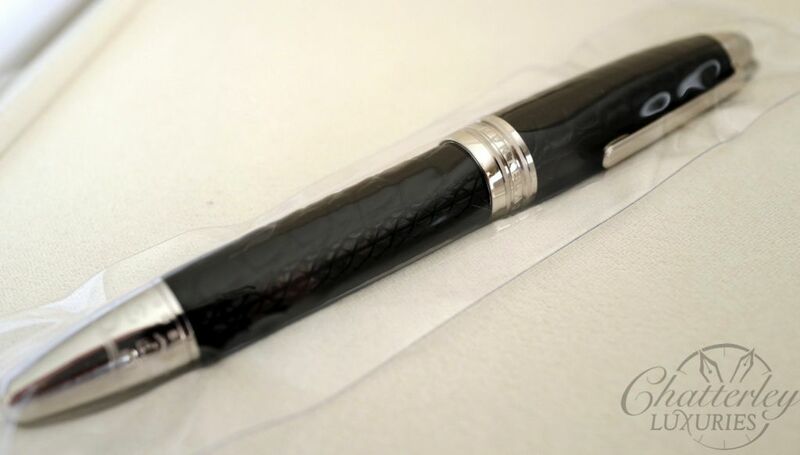 This is pen is brand new, sealed with its box and papers, and still has a full warranty. 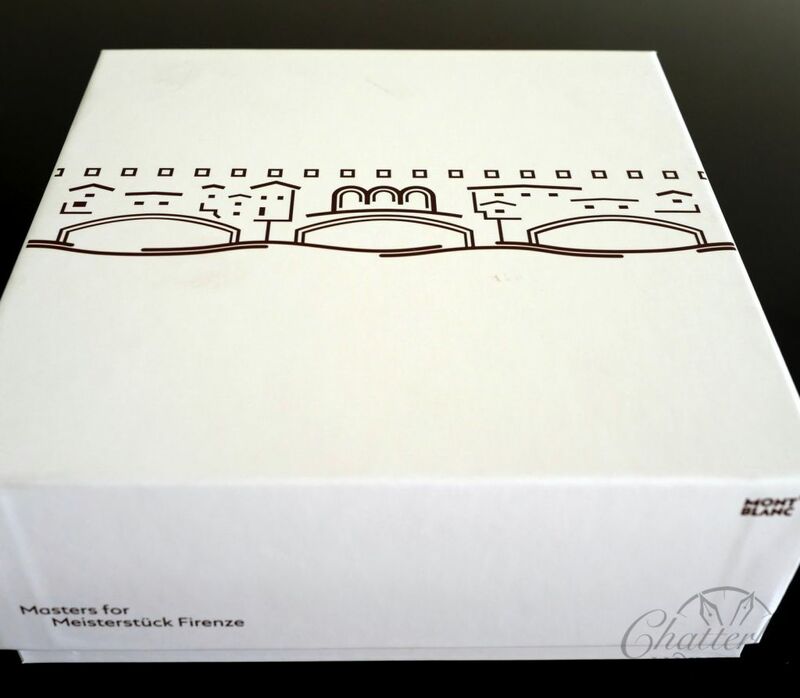 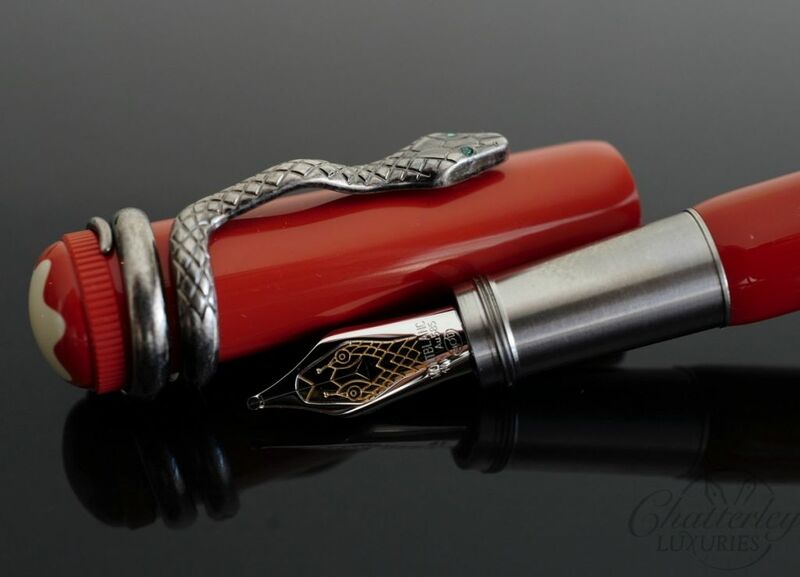 The “Masters for Meisterstück Firenze Alligator” unites the expertise of Montblanc – as creator of exquisite writing instruments – with the city of Florence’s rich artistic traditions in leather manufacturing. 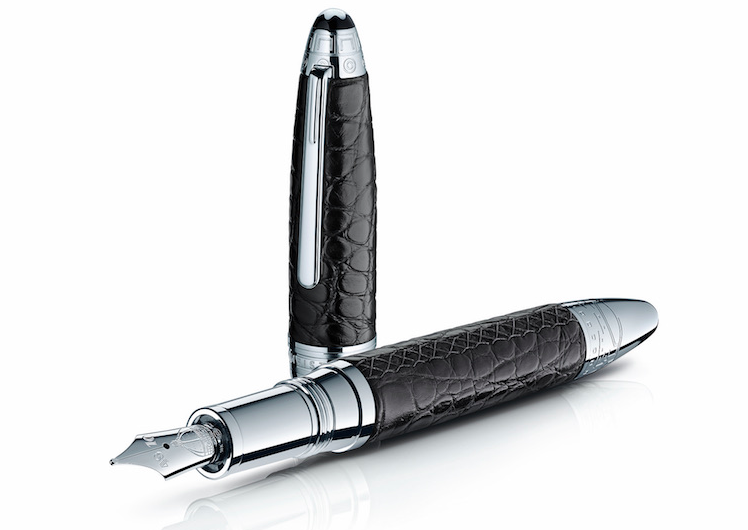 Meisterstück Fountain Pen encased in black alligator leather and platinum-coated fittings. 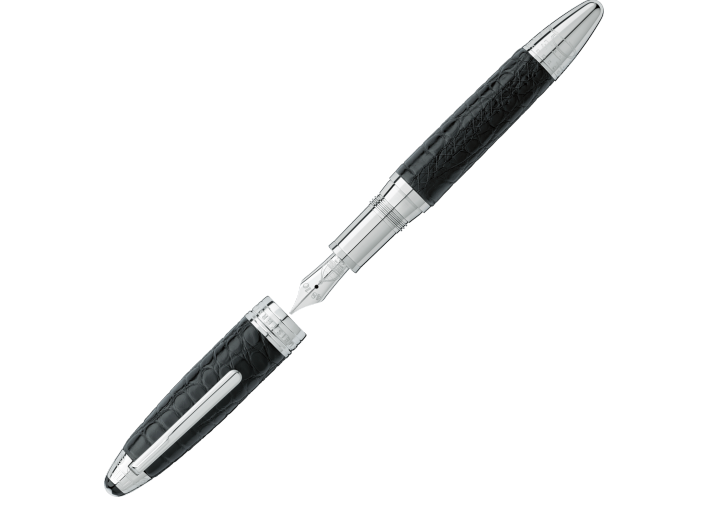 The body and cap are made of precious black alligator leather with hand stitched seam. 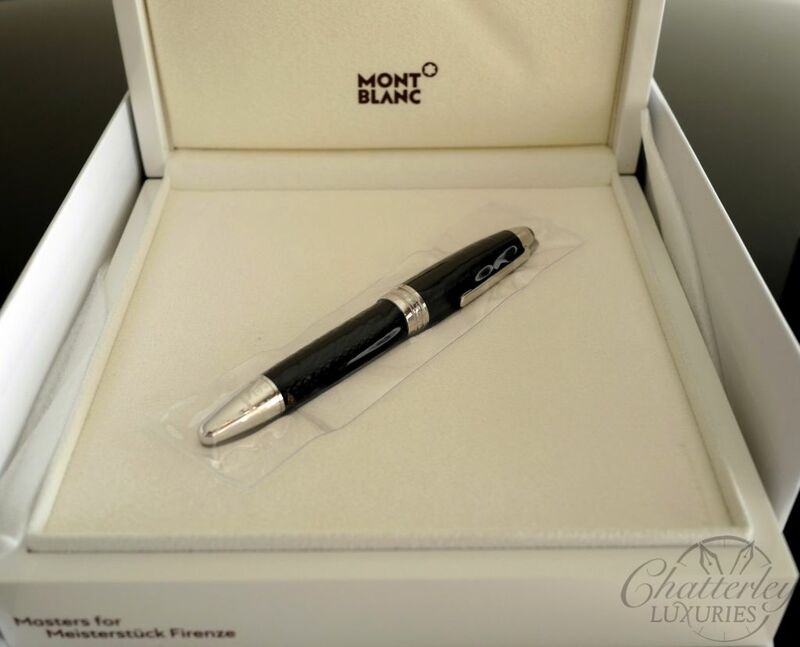 The mont blanc emblem is mother of pearl. 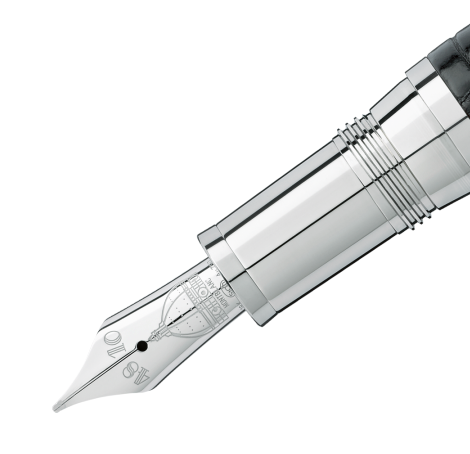 Clip and trims are platinum coated. 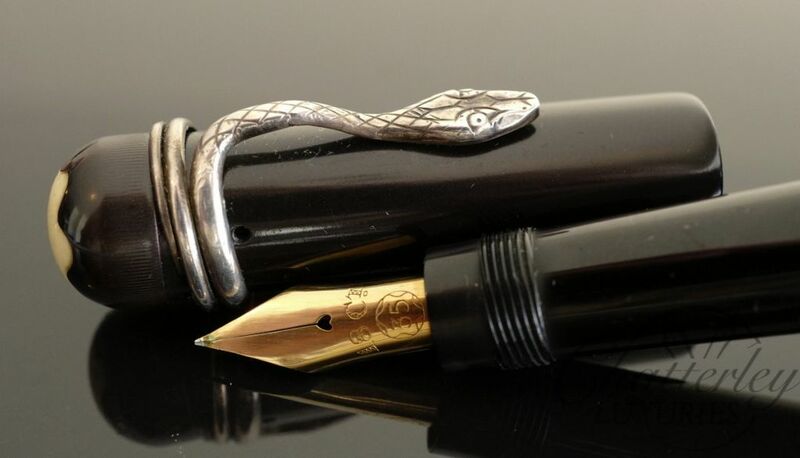 Piston filled fountain pen. 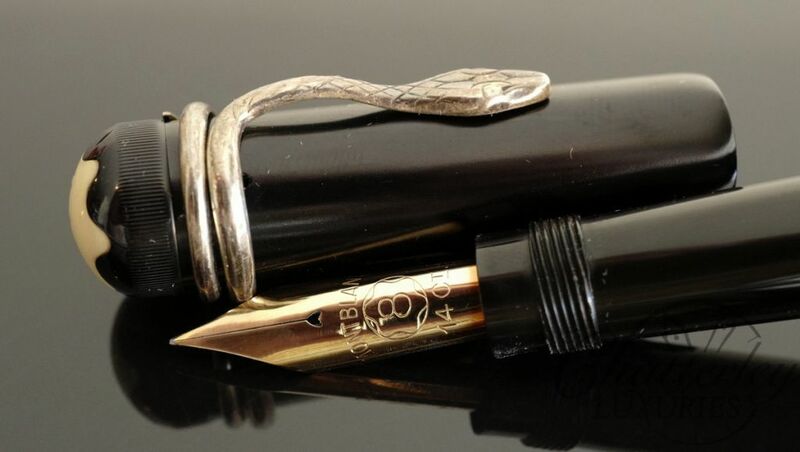 18k gold rhodium coated nib featuring the cupola of the cathedral.